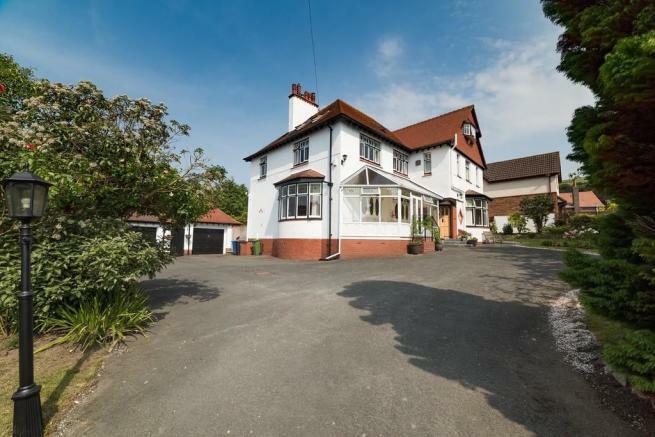 This detached family residence occupies a sought after location and stands amongst similar high quality properties in Upper Prestatyn. 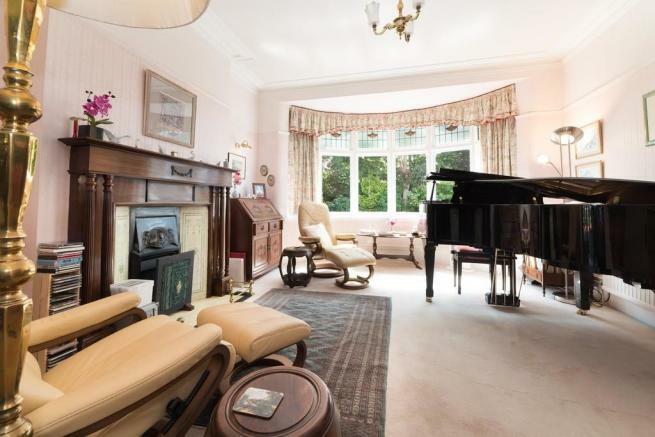 Built in early part of the 20th century the property is of immense charm and character and is arranged over three floors. 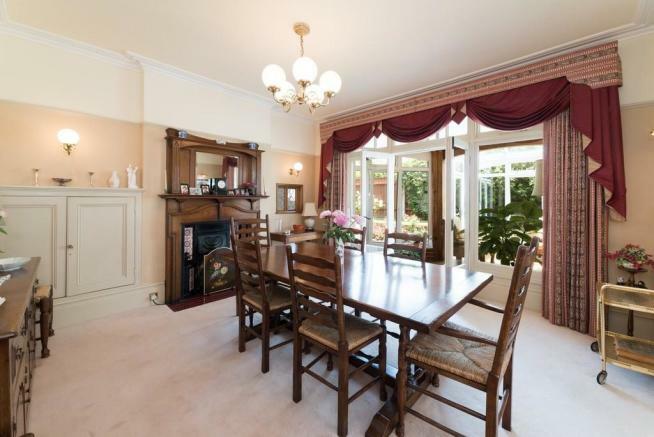 It stands in extensive private gardens which are totally secluded with ample parking and garaging. 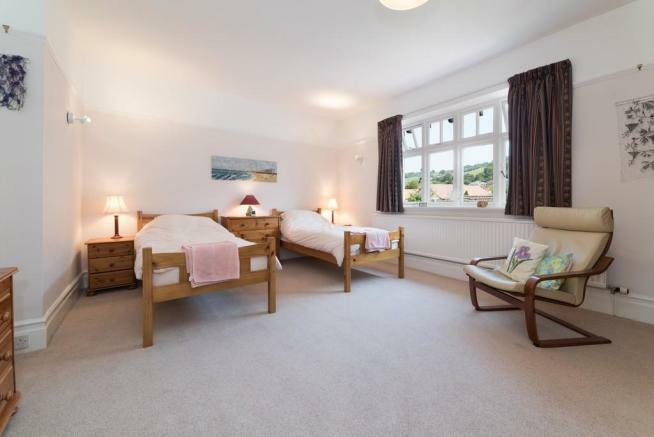 The property has been tastefully refurbished and can be described as 'ready to walk into', complete with an Aga cooking range to the fully fitted kitchen, the property boasts an en suite to the main bedroom and a guest room with ensuite. 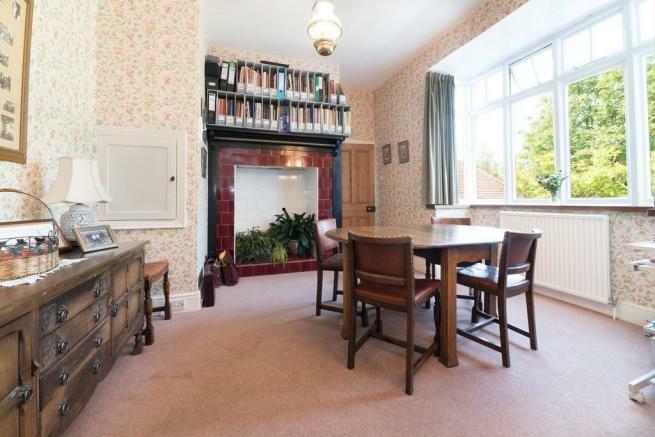 Having an extensive range of rooms to the upper floors currently used as a study and storage area the property is well suited to family occupation. 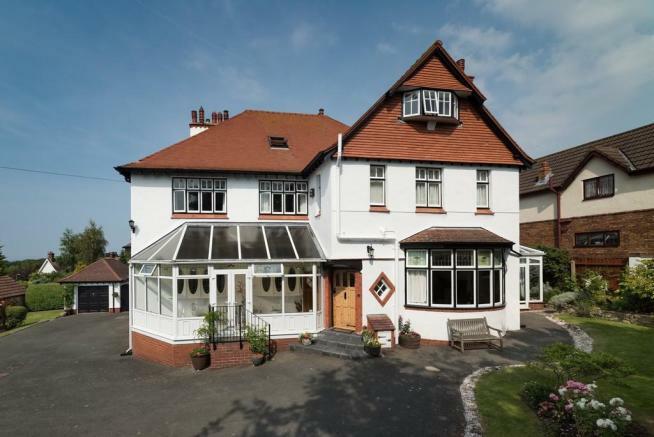 It is conveniently placed to Prestatyn's main town centre with its popular retail park and stands within one mile of the coast at Barkby Beach. The A55 expressway is easily accessed at Junction 31 and makes for commuting to all of the North Wales coastal towns and Chester about 25 miles. 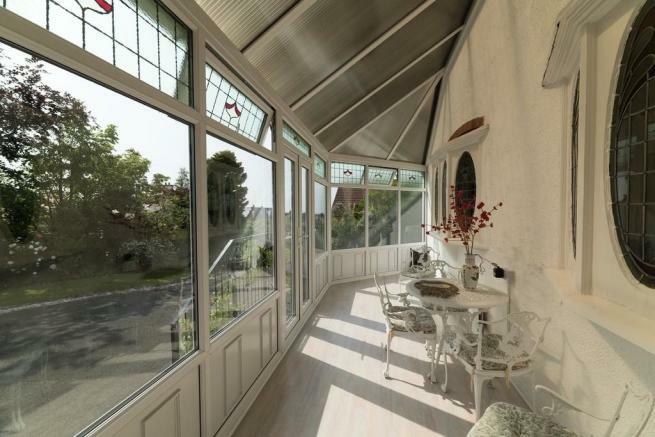 DOUBLE GLAZED FRONT CONSERVATORY: 17' 10" average x 6' 7" (5.45m x 2.03m) With a double panel radiator and power points. French doors give access onto the front of the property. ENTRANCE PORCH: 7' 11" x 5' 11" (2.42m x 1.81m) With a meter cupboard, original tiled floor, solid Oak door and a cloaks area. 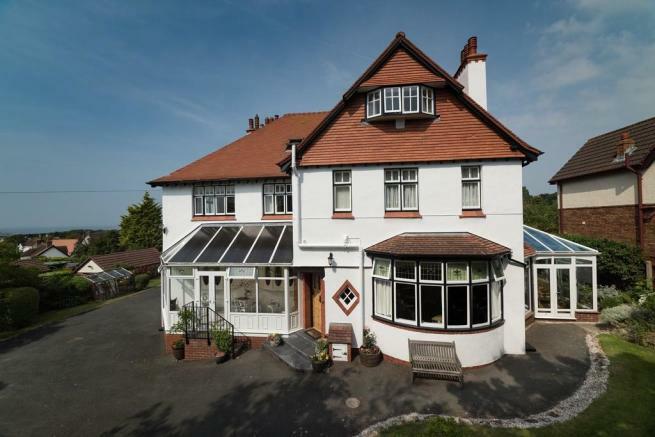 RECEPTION HALL: 13' 11" x 10' 8" (4.25m x 3.26m) Having a French solid fuel stove set onto a contrasting green tiled plinth with tiled back, Pseudo Tudor style timber frame feature above, Oak flooring and stain glass windows overlooking the front conservatory. DRAWING ROOM: 16' 7" into bay x 17' 9" (5.08m x 5.43m) Having an Edwardian feature fireplace incorporating a tiled hearth, tiled insert, decorative over mantle complete with a bevel edge mirror, radiators, serving hatch through to the dining room, power points and a large bay window with original stained glass providing an aspect over the side of the property. 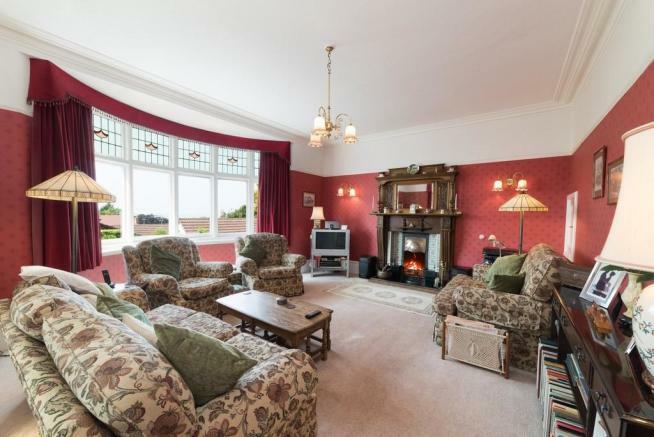 SITTING ROOM: 16' 1" into bay x 13' 11" (4.91m x 4.25m) Having an Edwardian open feature fireplace with a cast iron grate, decorative tiling, timber over mantle and surround, power points throughout and a feature bay window giving an aspect over the front. 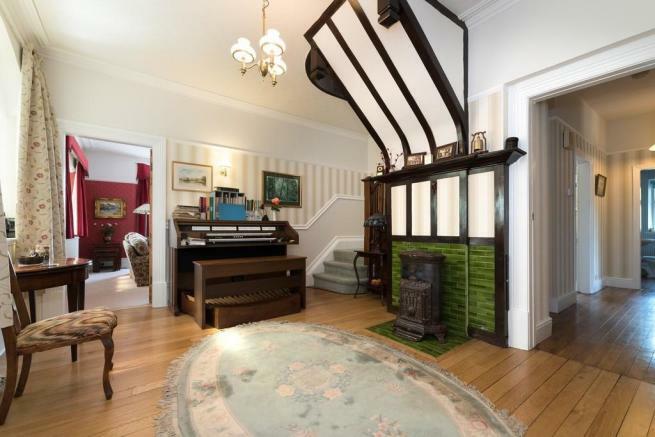 DINING ROOM: 14' 11" x 13' 10" (4.56m x 4.22m) With an Edwardian feature fireplace having a cast iron open fire, tiled inserts and hearth, timber over mantle and surround with a bevel edge mirror inset to the upper display, built in China cupboard, serving hatch to kitchen, radiators and power points. 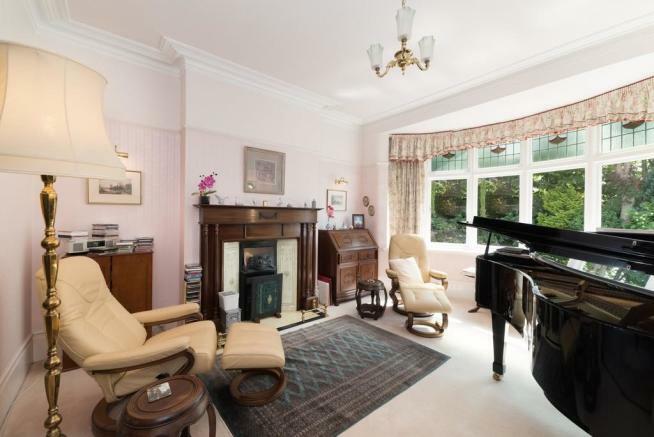 GARDEN ROOM: 15' 5" excluding recess x 12' 4" (4.72m x 3.77m) Having a radiator, ceramic flooring, double glazing, French doors to the front and rear, vaulted ceiling and exposed supporting pine timbers. INNER LOBBY: 12' 11" x 3' 10" (3.94m x 1.18m) With a radiator, Oak flooring and understairs store. 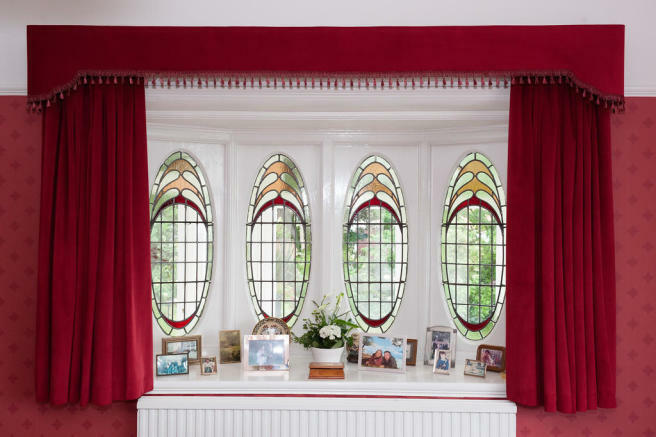 BREAKFAST ROOM: 13' 1" into bay x 12' 7" (4.00m x 3.86m) With a box bay window giving an aspect over the rear gardens, recessed alcove with feature tiling, double panel radiator, power points throughout and original serving hatch through to the lounge. UTILITY ROOM: 9' 3" x 8' 5" (2.82m x 2.58m) Having access onto the rear garden, stainless steel top sink unit, plumbing for automatic washing machine, fitted wall cupboards and base units, Worcester gas fired central heating boiler supplying the radiators and domestic hot water. 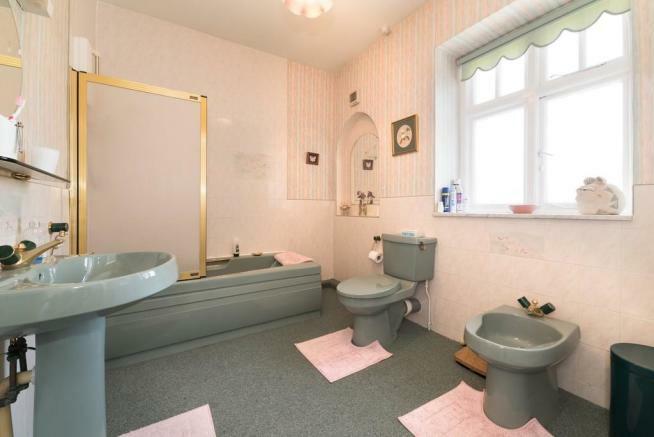 GROUND FLOOR W.C.: 8' 3" x 3' 10" (2.54m x 1.17m) With a low flush w.c., pedestal wash hand basin, Oak flooring and a double panel radiator. 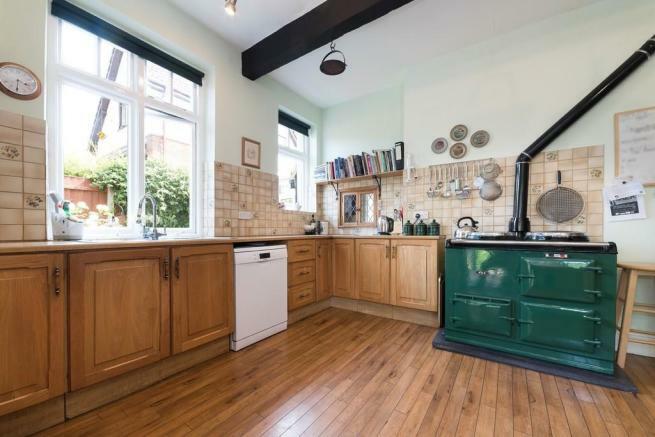 KITCHEN: 13' 9" x 13' 2" (4.21m x 4.03m) Having an Aga gas fired cooking range, a range of comprehensive light Oak front units with matching fitted wall cupboards, incorporating a microwave, 'Neff' oven, integrated fridge freezer and plumbing for automatic dishwasher. 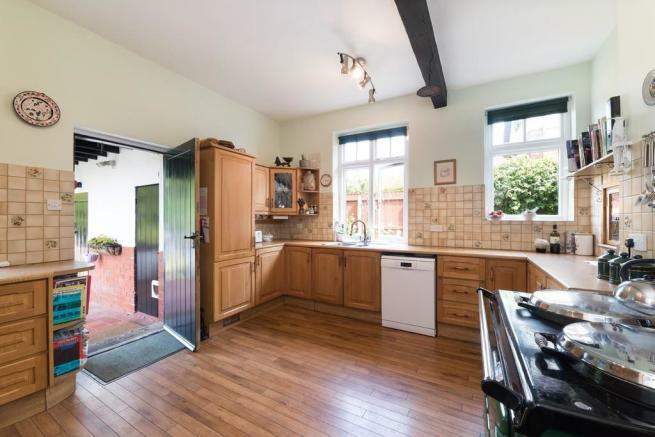 Oak flooring throughout, larder store cupboard, power points, tiled splash back, double glazed window overlooking the side and rear and access to the rear garden. 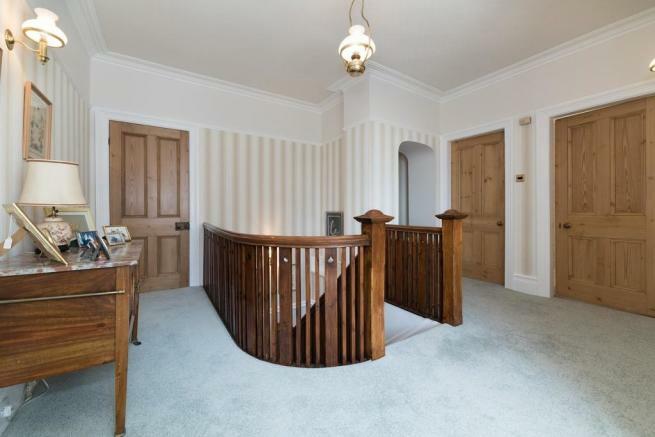 STAIRS FROM THE RECEPTION HALL WITH A QUARTER LANDING AND HALF LANDING LEAD TO THE FIRST FLOOR: 15' 10" x 13' 10" (4.83m x 4.23m) Having a Mahogany balustrade, window seat with an outlook over the front of the property with views towards the coast, radiator, power points and storage cupboard. MASTER BEDROOM: 18' 4" x 13' 10" (5.59m x 4.23m) With a range of fitted bedroom furniture including wardrobes, dresser units and knee hole dresser unit, double panel radiator, power points throughout and a twin window aspect providing a splendid panorama looking over Prestatyn town towards the Irish Sea. 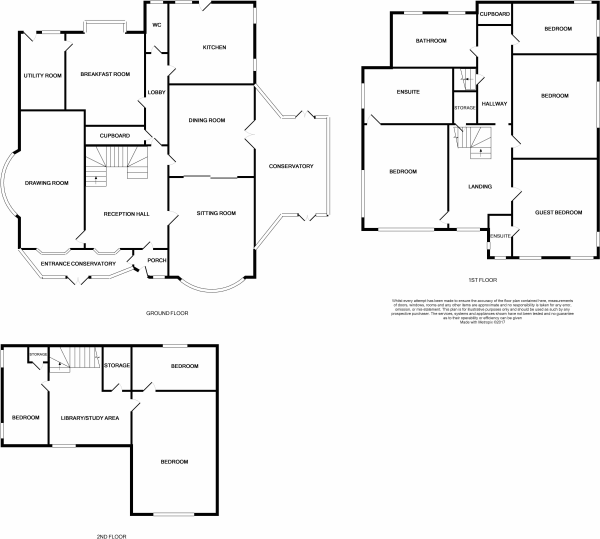 ENSUITE: 14' 0" x 7' 6" (4.27m x 2.30m) Having a five piece suite comprising a timber panelled bath, bidet, low flush w.c., pedestal wash hand basin and purpose built shower cubicle. Part tiled walls, heated towel rail, double panel radiator and an electric shaver point. 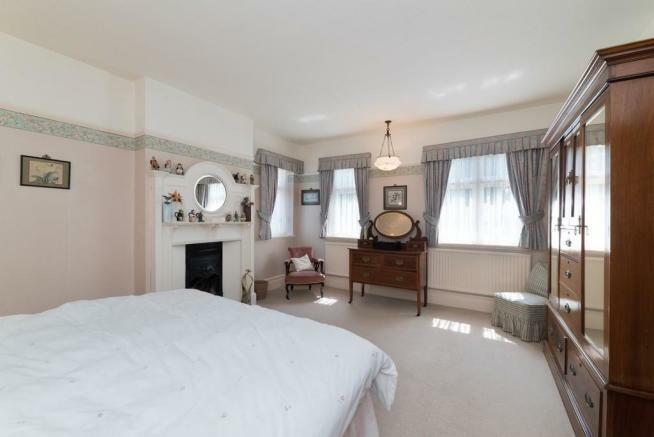 BEDROOM TWO (GUEST ROOM): 15' 11" x 13' 11" (4.86m x 4.25m) With an original open cast iron fireplace with tiled hearth and timber painted surround, power points and double glazed window giving an aspect over the front. ENSUITE: 11' 11" x 5' 10" (3.64m x 1.80m) Having a three piece suite comprising panelled bath with shower over, pedestal wash hand basin and a low flush w.c.. Radiator, part tiled walls, wall mounted multi point water heater supplying the domestic hot water to the bathroom. BEDROOM THREE: 16' 9" x 13' 11" (5.13m x 4.25m) Having an outlook over the side of the property with views towards the hillside, radiator and power points. 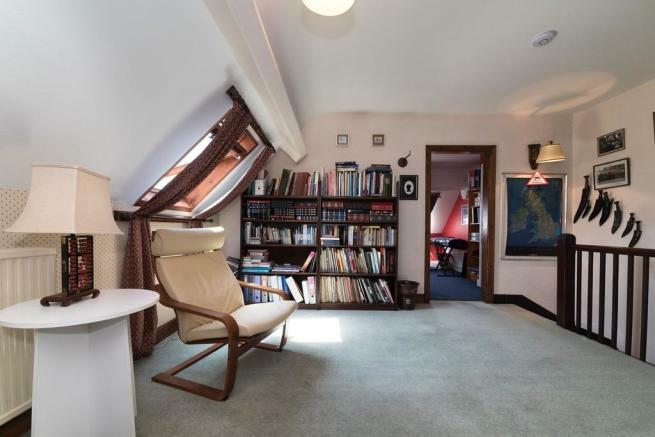 INNER LANDING: With a double panel radiator and a good size store cupboard. 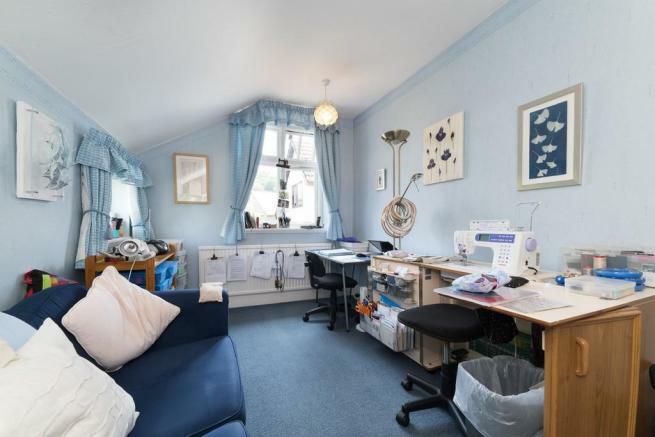 BEDROOM FOUR: 13' 10" x 8' 3" (4.23m x 2.54m) Presently used as a study/needle work room. Having a radiator, power points and an outlook towards the hillside. 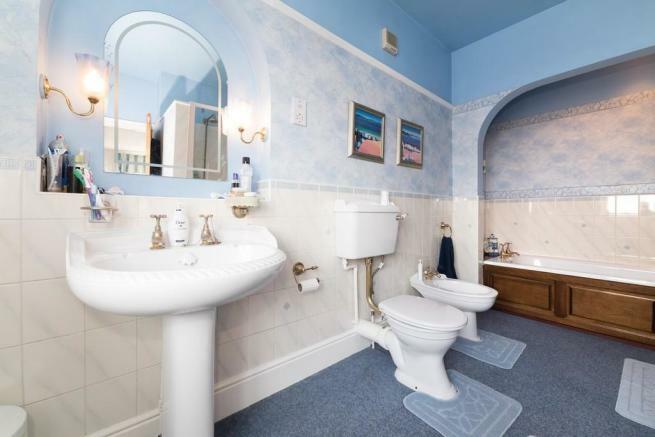 FAMILY BATHROOM: 9' 6" x 7' 6" (2.91m x 2.29m) With a four piece suite comprising bath with shower over, low flush w.c., pedestal wash hand basin and a bidet. 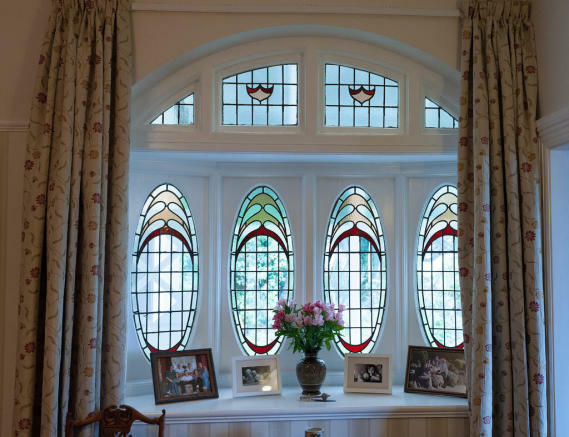 Part tiled walls and an obscure uPVC double glazed window. A SECOND FLIGHT OF STAIRS LEAD TO SECOND FLOOR ACCOMODATION AND LANDING/LIBRARY: 14' 11" x 6' 7" (4.56m x 2.02m) Having a double panel radiator, power points and velux window with views towards the coast. 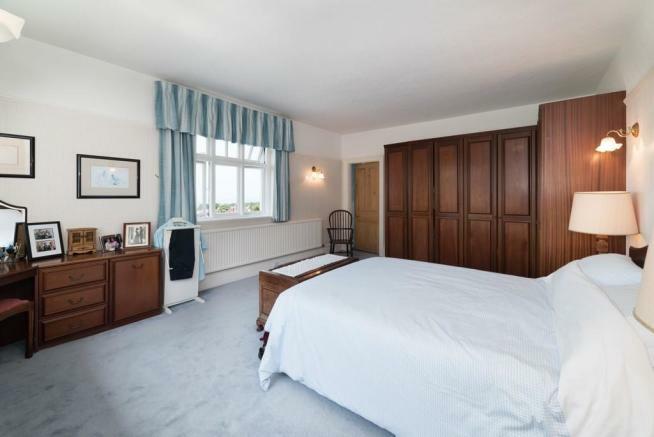 BEDROOM FIVE: 20' 1" x 10' 11" (6.13m x 3.33m) Having a radiator, power points and a bow window supplying a splendid panorama looking towards the coast. BEDROOM SIX: 12' 5" x 9' 7" (3.80m x 2.94m) With an original open feature fireplace with a mahogany surround, velux ceiling light overlooking the rear. BEDROOM SEVEN/STUDY: 14' 6" x 10' 7" (4.44m x 3.25m) Having access to eaves storage, power points, radiator, storage cupboard and two velux ceiling lights with a splendid panorama. 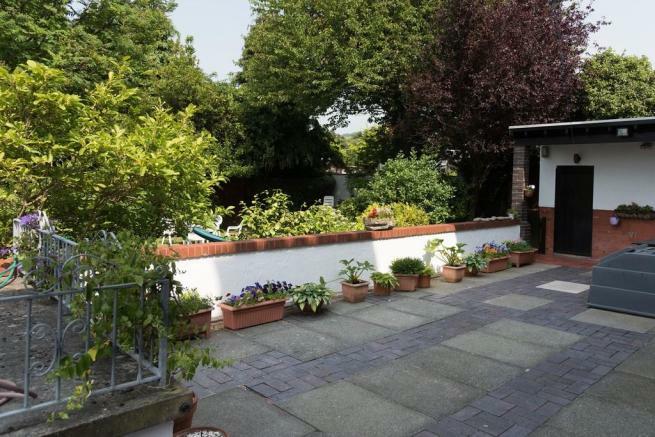 OUTSIDE: The property is approached via a long sweeping driveway leading to ample vehicular parking space suitable for several vehicles including a caravan or a boat. The gardens to the front are extremely private and secluded with high mature trees, lawned expanses, numerous flowering shrubs and plants which include Agapanthus, Enkianthus, Roses, Canary bird and a raised rockery with Azaleas, Rhododendron. 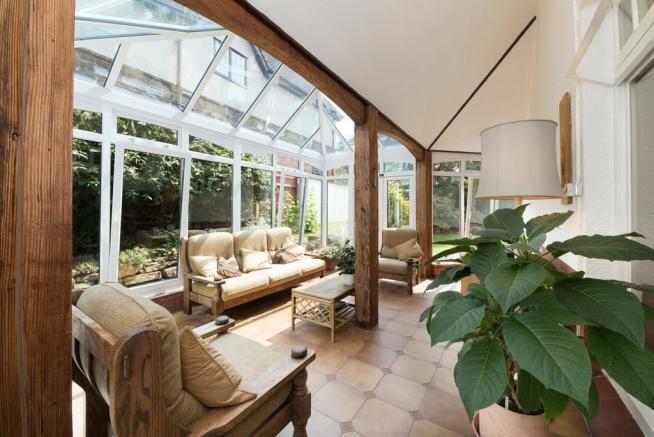 Outside coach lamps, two detached garages with up and over doors, outside tap, separate wine cellar, timber frame greenhouse, access to a raised patio which leads from the Kitchen and overlooks the secluded gardens. There is a small range of outer offices which include a freezer room with power points, coal store. The gardens to the rear are laid to lawn for ease of maintenance, various seating areas for alfresco dining. 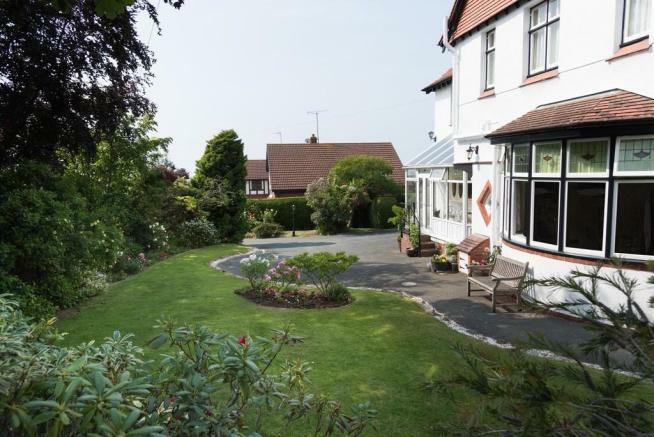 The upper gardens enjoy views towards the coast. 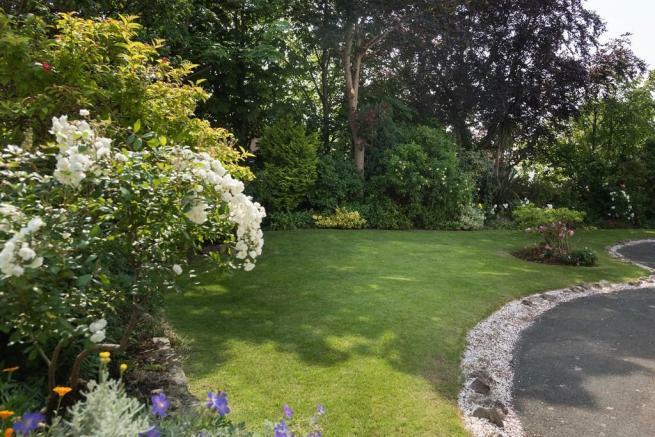 The property is bound by matured hedging, with a further secret garden which extends to the side of the property with raised floral borders including maturing roses and fencing affording seclusion. DIRECTIONS: From the Prestatyn office bear right onto Meliden Road and proceed over the top of the High Street through the traffic lights. 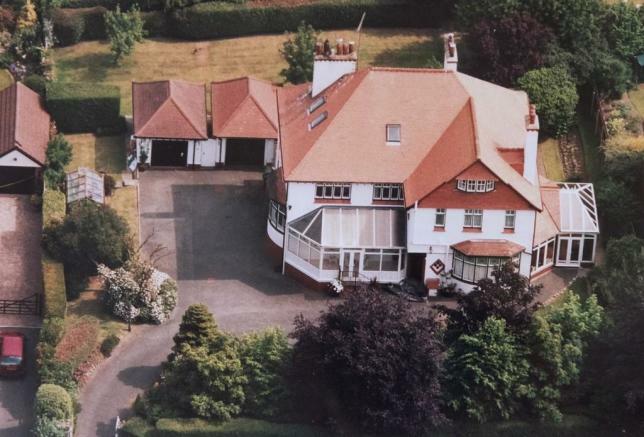 Take the third turning right onto Linden Walk and proceed up the hill where the property can be seen on the left hand side by way of a For Sale board. 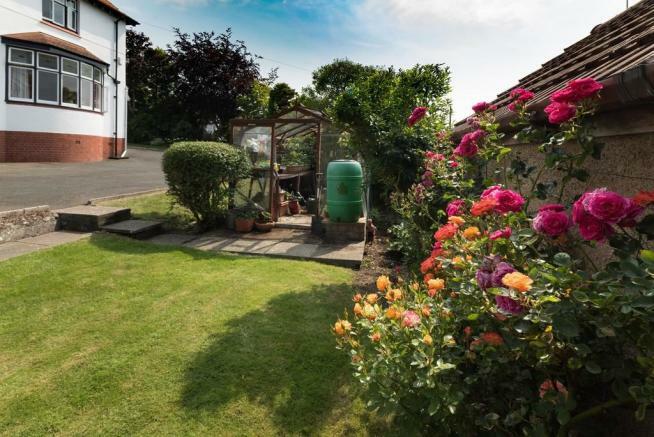 SERVICES: Mains electric, gas and drainage are believed available or connected to the property, water is metered. Services and appliances are not tested by the Selling Agent. Disclaimer - Property reference 101514025395. The information displayed about this property comprises a property advertisement. Rightmove.co.uk makes no warranty as to the accuracy or completeness of the advertisement or any linked or associated information, and Rightmove has no control over the content. This property advertisement does not constitute property particulars. 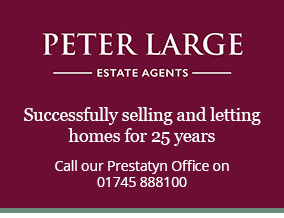 The information is provided and maintained by Peter Large Estate Agents, Prestatyn. Please contact the selling agent or developer directly to obtain any information which may be available under the terms of The Energy Performance of Buildings (Certificates and Inspections) (England and Wales) Regulations 2007 or the Home Report if in relation to a residential property in Scotland.